Join with other members in holidays at home or abroad. The NHS Retirement Fellowship have teamed up with award-winning Fred. Olsen Cruise Lines to give you a very tempting 10% membership discount* on your first sailing with them – and that’s on top of any current offers. Existing Fred. Olsen customers can save 5%, in addition to their 5% Loyalty Club discount. With Fred. Olsen Cruise Lines you can travel all over the world. Visit the Greek Islands and experience the wonder of travelling through the Corinth Canal or take in the delights of the USA, Mexico and the Panama Canal. The Norwegian Fjords still enchant our guests and are our most popular cruises but with over 200 cruises visiting the corners of the globe we are sure there is a cruise perfect for you. Now we have extended our fleet and offer River Cruises on Brabant so you can enjoy the European rivers and experience The Rhine, Moselle and the beautiful Danube. To redeem your discount be sure to reference the discount code NHSRF10 when booking. 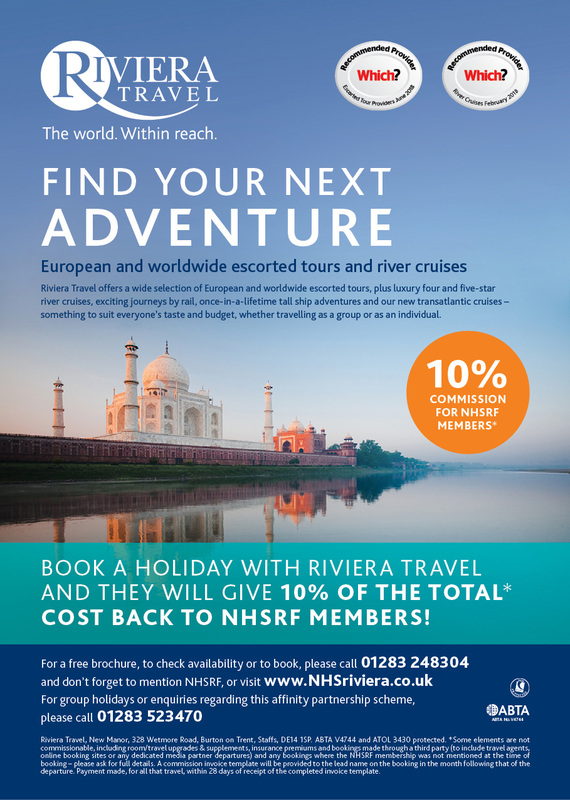 You can travel the world with Fred.Olsen Cruise Lines and enjoy a 10% NHSRF membership discount. Riviera Travel offers exceptional holidays with all the excursions included – from fully escorted tours and great rail journeys, to luxury river, yacht and ocean cruises. From Bruges to Botswana, Austria to Antarctica, Nice to New Zealand – there’s somewhere for even the most seasoned traveller.Consistently recognised throughout our 34 years for outstanding service and award-winning quality and value, including Which? magazine’s Recommended Provider status for four years, and being fully bonded with ABTA and ATOL, you are guaranteed full financial and travel protection. For a free brochure and to benefit from 10% money back on the total cost of your holiday please click here or call 01283 742300 – quoting ‘LaterLife’. For group holidays, email groups@rivieratravel.co.uk or call 01283 742322. SisterStay is a community of women offering one another friendship, hospitality and the opportunity to continue to grow and thrive. It is about starting a new chapter and creating new memories. 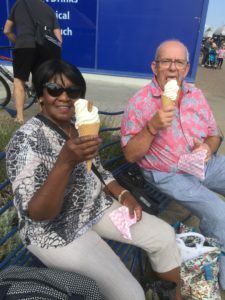 We open our homes to help one another on our journey, exploring new places, experiencing new things, maybe taking part in a local event or short course while staying in a welcoming home with someone with whom you can discuss your day and perhaps plan the next. It’s about making the most of life and taking advantage of every day. Launched in 2019, it is presently completely free to join. In fact, the first 250 women to do so will be entered in to a prize draw for a £100 Craft Courses voucher allowing the lucky winner to combine a few days away with joining in a local course. 4 Nights, Superb Dinners, Relaxing Bed in a modern, comfy room and Big Breakfasts to set you up for the day!